If you're a Gemini, chances are you're witty and fun to be around. Why not show off your fun-loving personality to everyone that sees you with a Gemini tattoo? Designs for this sign can encompass a wide range of images, from the Gemini glyph to more subtle images perfect for incorporating into other tattoo designs. Like the zodiac symbol Gemini, Gemini tattoos can be depicted in a number of different ways. 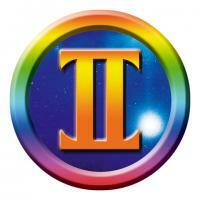 The glyph of the Gemini symbol resembles the Roman numeral II. Your tattoo can be as simple as this placing the basic symbol anywhere on the body, or you can embellish the glyph with additional imagery like flowers, vines, stars, and more. 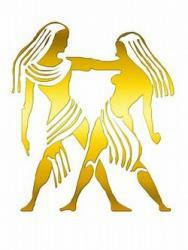 Taken more literally, a Gemini tattoo could depict a dual image or twins. Dual image ideas include mirror images of faces on either side of a vase, dual wings, or any image with two halves. In fact, many people feel that the image of a butterfly, with its symmetrical wings, can also represent Gemini. The color orange is associated with Gemini. You might consider coloring a glyph in orange, or including the color orange in a larger tattoo like one with the twins. 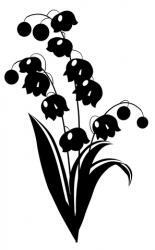 The flower associated with Gemini is the lily of the valley. Include this flower in any tattoo design to incorporate some Gemini symbolism. Emerald gemstones are also associated with the sign of Gemini. Include tiny emeralds inside another tattoo design to represent the presence of Gemini. Many Gemini tattoos are made entirely of the word "Gemini" written out in script, and surrounded by tattooed images of the lily of the valley. Put your own twist on this design by weaving the letters into another element of the symbol, or by creating your own font. Gemini is associated with the element of air. While it's not easy to tattoo an image of air, bending an image of a flower or grass to indicate being blown by the wind is one way to incorporate another touch of Gemini symbolism inside another tattoo. Placing designs like twins, wings, butterflies or other symmetrical images in the middle of the lower back or between the shoulder blades. Gemini tattoo designs offer a great way to sum up your personality in a small space. While you may one day wish that you had chosen a different style for your tattoo, which is always a possibility,, at least this is one aspect of your being that will never change. Having a lover's name tattooed on your body, for example, comes with a certain risk, but if you're a Gemini today, that fact won't change in ten or twenty years. Your zodiac tattoo will always be relevant.